46 posts categorized "Current Affairs"
Multidisciplinary?? Other disciplines are all rubblish. Why let them conteminate (sic) our purity? Never heard of Ostrom in my life. Lame. All I ever need to know is on my PhD reading list. what the [expletive deleted] is "land economics"? Er, one of my favorite journals? The fact that most of us have not heard about her says enough about her contributions. Er, it says that you don't know everything? The Nobel Memorial Prize in Economic Sciences is not a Nobel Prize. Right on! It is not one of the original Nobel Prizes. Yet, Nobel Prize is a useful nickname for the mouthful of "Nobel Memorial Prize in Economic Sciences." I taught environmental economics once. Her work is mentioned in the sections on public goods and tragedy of the commons stuff, particularly with fisheries. Krugman notes that this is a win given for new institutional economics, and I think that's the common thread between her work and Williamson. 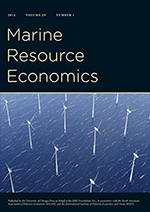 In my memory from the environmental economics, some of what Ostrom and her colleagues had been doing was trying to understand why in some areas, over-fishing occurred but in others it didn't, even though technically in both situations, the incentives for the tragedy of the commons outcomes was present. I have this memory, but don't have my Tienteberg textbook here to check, that she argued that there was an enforcement mechanism that discouraged over-harvesting when the fishermen were part of the same community, but not when they were part of different communities. This contribution is an attempt at explaining Ostrom's contribution. But I can't get past the "I taught EE once" without a yuck and a grin. Shai Agassi on TED. 18 minutes well spent. emissions from the EU ETS totalled 2.1Gt CO2 in 2008, down 3% from 2007 levels. Even taking into account reduced economic output, ... analysis indicates that the largest cause of the reduction is the EU ETS itself encouraging greater use of gas in power generation. That's 3% of a total decrease of 5%, according to New Carbon Finance. We won't know for sure until more analyses come in later this year (the first official data were released today), but the signs look encouraging: even in a year when we'd think the recession would dwarf everything else, EU ETS seems to be responsible for a good chunk of emissions reductions -- even larger than the recession itself, per New Carbon Finance. What's being off by a factor of 10 among friends? The administration raises revenue for nationalized health care through a series of new taxes, including a light switch tax that would cost every American household $3,128 a year. The "light switch tax," of course, refers to cap and trade. That's a flat out misrepresentation, but it could at least be defended as a cutesy marketing gimmick. The claim that the administration would like to fund health care through climate legislation, on the other hand, is flat out wrong. The "$3,128" figure is in a different league altogether. It's "nearly 10 times the correct estimate which is approximately $340," according to a letter published today by John Reilly, one of the authors of the MIT study misquoted in the press-release. "It's just wrong," said John Reilly, an energy, environmental and agricultural economist at M.I.T. and one of the authors of the report. "It's wrong in so many ways it's hard to begin." Not only is it wrong, but he told the House Republicans it was wrong when they asked him. "Someone from the House Republicans had called me (March 20) and asked about this," Reilly said. "I had explained why the estimate they had was probably incorrect and what they should do to correct it, but I think this wrong number was already floating around by that time." If that isn't enough, the NRCC repeated the $3000 lie in another press release sent out yesterday. Get the full story from Think Progress (HT: Climate Progress) or EDF's Truth Squad. "A place to turn cod into Ph.D.'s"
If you want to take a break from today's Waxman-Markey climate bill excitement but still can't wean yourself away from cap-and-trade entirely, read Michael Lewis's take on Icelandic banking in Vanity Fair. It's a morbidly humorous take on the madness, which led a perfectly fine nation that gave us Björk on a roller-coaster ride to financial ruin. Along the way we learn about the "charming lack of financial experience in Icelandic financial-policymaking circles," the male-dominated macho world of high finance and the combination of the two: Iceland's leaders these past few years "are the guy driving his family around in search of some familiar landmark and refusing, over his wife’s complaints, to stop and ask directions." Fishermen...are a lot like American investment bankers. Their overconfidence leads them to impoverish not just themselves but also their fishing grounds. Simply limiting the number of fish caught won’t solve the problem; it will just heighten the competition for the fish and drive down profits. The goal isn’t to get fishermen to overspend on more nets or bigger boats. The goal is to catch the maximum number of fish with minimum effort. To attain it, you need government intervention. [P]rivatized the fish. Each fisherman was assigned a quota, based roughly on his historical catches. ...Before each season the scientists at the Marine Research Institute would determine the total number of cod or haddock that could be caught without damaging the long-term health of the fish population; from year to year, the numbers of fish you could catch changed. But your percentage of the annual haul was fixed, and this piece of paper entitled you to it in perpetuity. Even better, if you didn’t want to fish you could sell your quota to someone who did. The quotas thus drifted into the hands of the people to whom they were of the greatest value, the best fishermen, who could extract the fish from the sea with maximum efficiency. You could also take your quota to the bank and borrow against it, and the bank had no trouble assigning a dollar value to your share of the cod pulled, without competition, from the richest cod-fishing grounds on earth. The fish had not only been privatized, they had been securitized. Voilà: cap-and-trade for fish -- aka "Individual Transferable Quotas" -- was born. Rob Stavins provides a good summary of how the system works in his blog post this week. This insight is what led Iceland to go from being one of the poorest countries in Europe circa 1900 to being one of the richest circa 2000. Of course, it also had its problems. With all the riches from fishing, Iceland became "a place to turn cod into Ph.D.'s," who eventually figured that banking was the way to go, which led Iceland to become Ground Zero of the global financial meltdown. Lest anyone uses this roundabout logic to blame cap and trade for Iceland's de facto bankruptcy, I'd say there are still much bigger fish to fry as we try to use the same principles to solve overfishing around the globe -- and design sensible cap-and-trade legislation to combat climate change.